When something happens a lot, with a lot of people I talk to in a row, I know it’s something I need to write about. Recently, I’ve had a lot of conversations with HSPs who doubt their intuition. Nothing wrong with doubting! After all, there is such a thing as being too sure (and full of) yourself. For instance, people who believe they have the answer to everything would benefit from a spoonfull of doubt every once in a while (We can all think of someone, am I right?). Doubting opens up new possibilities in a boxed-in brain. Yet, the doubting I want to address here is of a different kind. It’s the long-term doubting that is a reaction against an uncomfortable thing you know deep in your bones. This thing you know deep in your bones might be incredibly weird. It may be something others would judge you for. Acting upon it might alienate you from some people. Taking this knowing seriously would have serious consequences. What is a person with strong intuition to do, when following through on their intuition would be hard and uncomfortable but they don’t want to accept that? They doubt what they know. When you doubt, you get to keep both options.You get to keep your intuitive knowing, and you get to hold on to the societal standard that is comfortable as well. It’s two for one! (Who doesn’t love a good sale?). Chronic doubting is the (seeming) solution to a tricky problem. Here’s the underlying dilemma: Trusting your intuition means you go against what your social circle believes. So it would alienate you from them (even if just for a moment!) and bring up fears of rejection, ridicule, and being all alone. Those are all very big dramatic feelings for our social animal self. Out in the wild (and who says modern life isn’t wild?) being rejected by your tribe means certain death. There are not many successfull lone cowboys out there. Better to stick with the status quo! But your intuition can’t be fully denied. It requires validation! So the solution the ever ingenious mind comes up with is to doubt. You spend 50% of your time supporting your intuition: cheering it on, congratulating it, patting it on the back. Then you spend the other 50% of your time agreeing with society, sticking to the norm, and doubting your intuition: you come up with all the reasons why surely, you couldn’t possibly trust yourself, because.. come on! But, this is just the beginning! Now that you have two opposite pathways running, both of which meet a need (the need to belong a.k.a. reject your intuition, and the need to trust yourself a.k.a. trust your intuition) you also need to make sure that you keep doubting. You can’t let either side win you see. After all, if your intuition wins, that leads to all kinds of tough consequences you can’t oversee (or so you fear). Maybe someone will get really mad at you. Maybe someone won’t take you seriously. Maybe your family will judge and attack you. Maybe you’ll have to do it all on your own. If – on the other hand – you let the doubts win, well then it means that your intuitive self will feel bad and rejected. Deep inside, you’ll get a little smaller, less bright, and less enthusiastic about life (or maybe a whole lot less enthusiastic). Can’t let that happen either! So you teeter totter. You go back and forth. You don’t decide. You keep trying to figure it out (which is code for finding an ideal solution that doesn’t exist). And the beauty is, while you are busy trying so hard, you get to stay friends with both camps. The people who are on the side of social convention will listen to you and support your doubts about yourself. Of course, your intuition is crazy, but no worries, you still belong to the Normal Club, because you’re smart enough to doubt your intuition! And the people who side with your intuition will support you too, because they see that you do give your intuition some serious thought and hey, following your intuition is not easy, they totally get that! So you keep both camps happy. Plus, the whole business of doubting 24/7 keeps you plenty occupied. Occupied enough to distract you from the sense that this is going nowhere fast. So to recap: you keep everyone happy, you support both your inner Conventionalist and your Intuitive Revolutionary (you split your ballot into two and gave them both half) and to top it all off, you also knock out your bodily symptoms of discomfort by getting fully caught up in the mental activity of doubting so you barely notice how stressed the doubting itself is making you. LaLaLand 2: Reality 0 ! And after being here for a while, you start to find that this is the place to be. Doubting meets all your needs, or so it seems. You stay friends with everybody. You don’t have to do something uncomfortable. And, most importantly, you keep all your options open! Which is like ultimate freedom, right? Except, how freeing is it to stay in the Teeter Totter Country Club? Sure, you get to mull over your dilemma with some interesting people, play a round of golf and have a fancy drink… it’s comfortable! Yet, does it really get you to where you really want to be? Is your purpose just to be at the clubhouse all day? If it is, stay put! But if it’s not, you’ll need to take a decision. 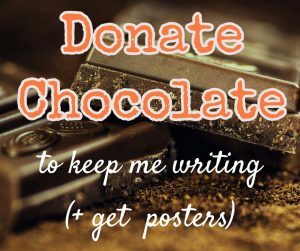 Even if you reach this stage though, you still have a “reasonable” out: you can spend a whole lot of time trying to figure out how to stop doubting yourself (which is another fancy way to extend the “I want to have it all, because, why not?” mentality). Welcome to the hall of mirrors! There is no Magic How. What you’re really looking for is a way to make moving forward comfortable, instead of accepting that it won’t be. The whole gist of it is: you need to pick a side and stick with it. 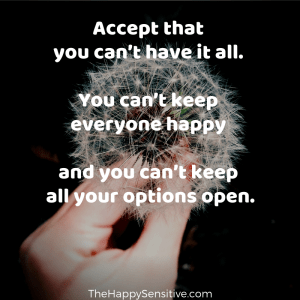 You need to accept that you can’t have it all. You can’t keep everyone happy. You can’t keep all your options open. If you want to move forward living your own life, doing things that are meaningful, then you need to see long-term doubting for what it really is: a nifty way for your mind to keep you in your torturous comfort zone and very very stuck there. It’s a hamsterwheel. Running around in your head may feel really productive, but you’re still in a cage, eating the same dried bits every day. Chronic doubting is an attempt to water down your intuition and your purpose to “be normal”. You are here to be your own true self. Not be Mrs Copy of Some Other Lady Who is Well Liked and Dresses Appropriately. That doesn’t mean you have to be a radical dresser (only if it’s calling to you). It just means your intuition is trying to lead you somewhere good. Away from the particular conventions that don’t help you breathe and laugh. 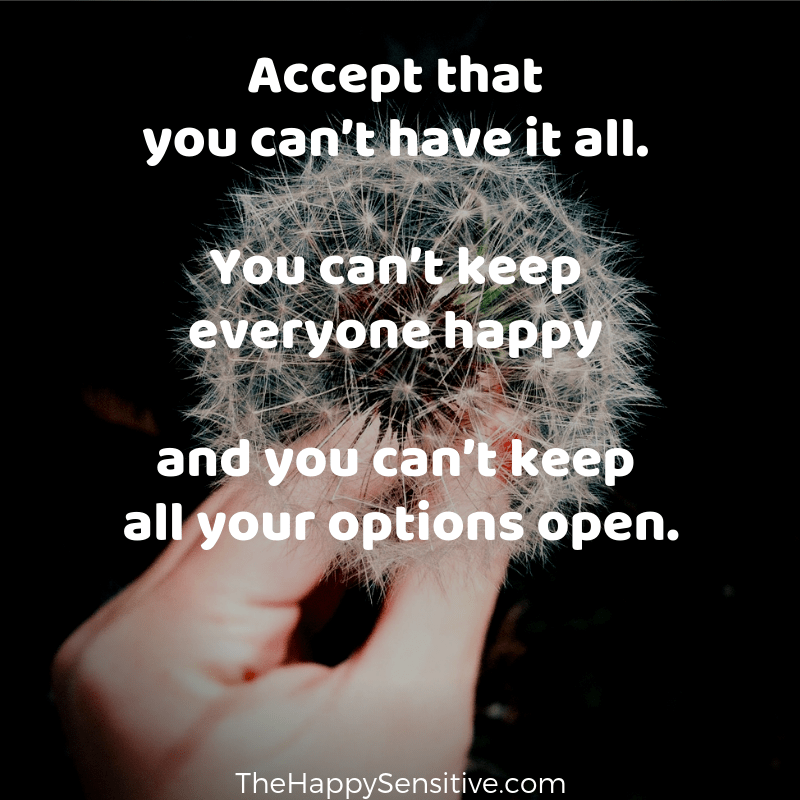 If you’d like to make a new start on a more intuitive path, that suits you and honours you, the HSP Comfort Kit will help you create space to hear and trust your intuiton, one tiny step at a time. You can get it here.